Point to Reports and click Deposit Slip to generate a report detailing non-monetary transactions. 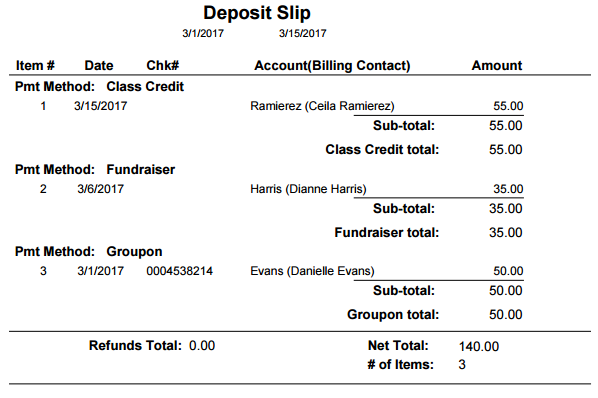 Change the Type to Account Credit and select a date or range of dates. 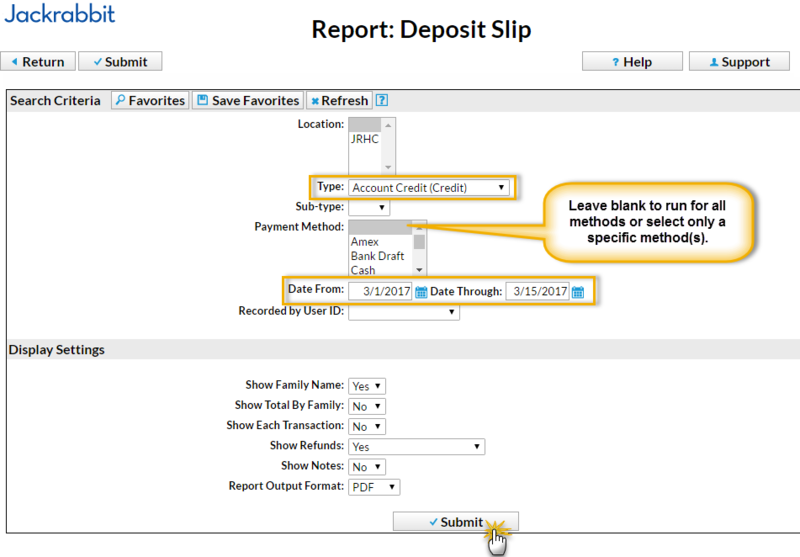 To report on a specific type of credit method, choose a Method from the drop down list. Submit. By changing the Type to Account Credit, you've told Jackrabbit to report on only non-monetary transactions. Reports > Transaction Listing and Transactions > Search are other non-monetary reporting options. Be sure to change the Transaction Type to Account Credit.